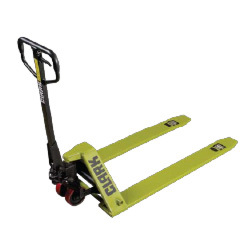 In the market for a CLARK Hand Pallet Jack? 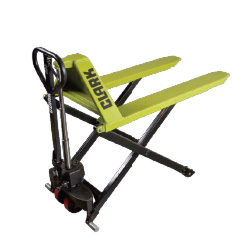 Mid Atlantic Industrial, located in Pennsylvania, sells CLARK Hand Pallet Jacks. Rugged heavy duty frames of steel, galvanized steel or stainless steel are constructed of one-piece formed channel, offer light weight and strength. Heavy Duty Jacks feature reinforced gussets and reinforced bulkhead headers which provide increased strengthened piston seat. Reinforced forks provide added strength with tapered ends for easy pallet entry. 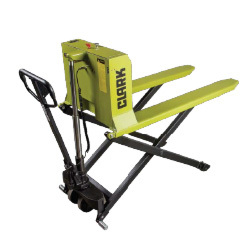 Heavy Duty Jacks feature one piece forks and solid tapered ends for increased strength. Durable, versatile and easy to use. Features a design that reduces operator fatigue. A 200 degree pivot provides exceptional maneuverability. 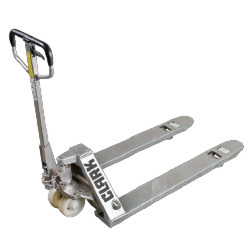 The CJ55Q Quick Lift Pallet Jack is the ideal truck for light load lifting and fast paced applications. When lifting loads under 650 lbs. Only 5 strokes to reach maximum height. Ideal for use in freezers or coolers with temperatures down to -10 degrees F, as well as chemical exposure applications, the CJ55G is hygienic, durable, easy to clean. 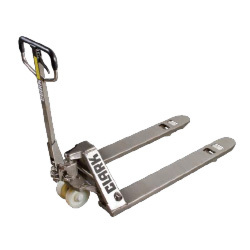 Whether it is a Clean-Room or Cold-Room environment, or a highly corrosive chemical application, the CJ55S Stainless Steel Pallet Jack will do the job. 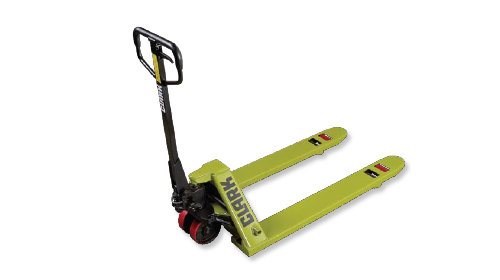 Low profile pallet Jacks feature lowered heights for handling conventional pallets that are too low for the standard 2.9″ height. 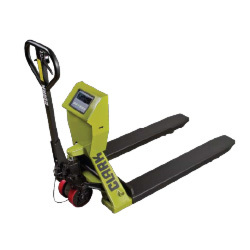 Designed to handle applications such as lifting and transporting skids and bottomless containers, loading and unloading conveyor systems and a work station. Features manual push – battery lift operation and is designed to handle applications such as lifting and transporting skids and bottomless containers. 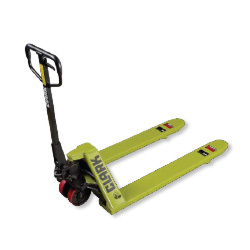 Easily lift, weigh and transport loads. The easy to read meter features a large LCD display for better visibility, keyboard and automatic tare functions.